You can watch this blog post on YouTube too! Have you ever needed to look at what data in a table used to look like? If you have, it probably took a knuckle-cracking filled session of writing group-by statements, nested sub-queries, and window functions to write your time-travelling query. Sorry for your lost day of productivity — I’ve been there too. Fortunately for us, SQL Server 2016 introduces a new feature to make our point-in-time analysis queries easy to write: temporal tables. Temporal Tables? Are Those The Same As Temporary Tables? Don’t let the similar sounding name fool you: “temporal” <> “temporary”. The temporal table — this is the table that contains the current values of your data. The historical table — this table holds all of the previous values that at some point existed in your temporal table. You don’t need to write any triggers/stored procedures! All of the history tracking is done automatically by SQL Server. Retrieving the data uses a simple WHERE clause — no complex querying required. I want to make my life easier by using temporal tables! Take my money and show me how! I’m flattered by your offer, but since we are good friends I’ll let you in on these secrets for free. it contains a PRIMARY KEY. it contains two datetime2 fields, marked with GENERATED ALWAYS AS ROW START/END. It contains the PERIOD FOR SYSTEM_TIME statement. It contains the SYSTEM_VERSIONING = ON property with the (optional) historical table name (dbo.CarInventoryHistory). Although we got some unassuming car models, at least we can express our individuality with two different paint colors! In all of the remaining screen shots, the top result is our temporal table dbo.CarInventory and the bottom result is our historical table dbo.CarInventoryHistory. You’ll notice that since we’ve only inserted one row for each our cars, there’s no row history yet and therefore our historical table is empty. Let’s change that by getting some customers and renting out our cars! Now we see our temporal table at work: we updated the rows in dbo.CarInventory and our historical table was automatically updated with our original values as well as timestamps for how long those rows existed in our table. It’s totally possible for someone to have driven 73 or 488 miles in a Chevy Malibu in under 4 minutes…ever hear the phrase “drive it like a rental”? Our temporal table show the current state of our rental cars: the customers have returned the cars back to our lot and each car has accumulated some mileage. Our historical table meanwhile got a copy of the rows from our temporal table right before our last UPDATE statement. It’s automatically keeping track of all of this history for us! The customer walked away from the crash unscathed; the same can not be said for our profits. With the deletion of our silver Malibu, our test data is complete. Now that we have all of this great historically tracked data, how can we query it? Even with my car rental business not working out, at least we were able to see how SQL Server’s temporal tables helped us keep track of our car inventory data. I hope you got as excited as I did the first time I saw temporal tables in action, especially when it comes to querying with FOR SYSTEM_TIME AS OF. Long gone are the days of needing complicated queries to rebuild data for a certain point in time. This is a real-time progress bar for some of my old jobs. They are still running and stuck at 3%. How many times have you written a program, ETL, analysis job, etc… that seemed like it would never finish running? Although poor performance can be caused in a multitude of ways, the easiest to fix is by reducing your data in SQL Server instead of your in your programming/ETL/analysis layer (Excel, R, SAS, Python, ..NET, etc…). SQL is built to handle and process data extremely efficiently. You will usually experience much better performance the more work (data merging, transformations, etc…) you can do to your data on the SQL server. I say “usually” because SQL won’t always be faster than a programming language at transforming data, but 9 times out of 10 you can get faster results straight on the SQL Server. Prefer watching me talk about performance on YouTube? Check out this post’s video here. Some of my earliest PHP and MySQL websites worked exactly like this 😳! The code was slow on my server and users ended up suffering with slow webpage load times. Why bother learning to transform data in SQL? I already know how to do that stuff in <insert programming language here>. Old habits are hard to break, but you do want to make your processes run faster, right? This stuff is all easy, I promise! Every time you write SELECT * you probably are bringing back more data than you actually need — you are hurting your performance. Every time you don’t have a WHERE clause, you are hurting your performance. Every time your process queries the database multiple times (ie. multiple SELECT statements in your job to bring back data), you are hurting your performance. In case you missed it, not taking the time to filter and reduce your data down as much as possible in your SQL is hurting your performance! Assuming your SQL Server and your programming layer are on different machines, you lose lots of time transferring unnecessary data over the wires (or air) as well as not efficiently using all of the advantages that your SQL server offers. What’s the solution to this inefficient processing? 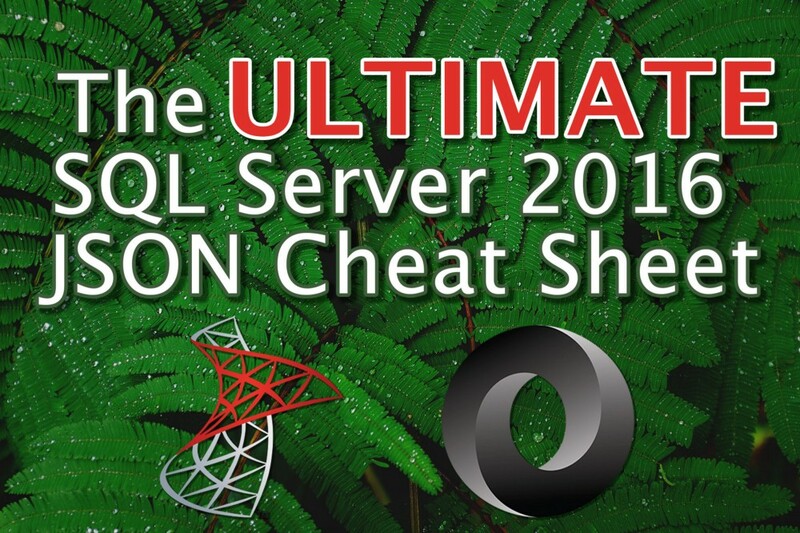 Process your data on the SQL Server! If you are not filtering, joining, and transforming your data until your programming layer, you are likely losing valuable SQL performance power and network efficiency. Here are some easy ways to reduce the size of your dataset on the SQL Server to improve performance in your jobs (and make your coworkers envious of your skills)! If you are using SELECT *, stop! SELECT * brings back all of the columns on your table, including the ones you don’t need. This increases the amount of data sent over the network (which doesn’t even get used) as well as increases the amount of data that needs to be read from disk (and storage hardware is usually relatively slow). Not to mention if your table is using indexes, SELECT * most likely causes some of those indexes not to be used as efficiently (or at all) which causes your queries to slow down even further. But what if you do need all of the columns on a particular table? You still shouldn’t use SELECT *! Although there’s no performance difference, using SELECT * just means you are taking on technical debt. In the future, when a column gets added or removed from your table, your downstream processes may break because they are now automatically receiving (or no longer receiving) that column. Do you want to have to fix a failing process in the future because its now receiving more data that it was expecting? I don’t think so! My inefficient process example above starts with selecting some data and bringing it into my programming environment. The process then runs another query to bring in additional data and joins it to the data from my first query in my programming environment. First off, we are breaking the first principle we learned in the SELECT * section above — we are bringing back more data than we need! If we are using INNER JOIN on our two datasets, we most likely are going to be filtering out some data — data we don’t need. Joining on the SQL server first will reduce our total dataset size and make our network and disk performance more efficient. Even if we are doing something like a LEFT or FULL OUTER join where we will be keeping all of the data from one or both of our datasets, it still benefits us to perform this join on the SQL Server. Why you ask? Because the people who built SQL Server have spent hundreds or thousands of hours performance tuning and debugging their joining algorithms. The chances that you will be able to write a more efficient join algorithm is highly unlikely. And even if you are a programming savant, why reinvent the wheel? Unless your app needs every last microsecond of performance, just use SQL Server for what it’s really good at: relational data joining. Let’s say our dbo.User table has 50 thousand rows and our dbo.Sale table has 1 million rows. If your process is only looking for active users and sales from the past month, let’s say 2 thousand rows and 22,000 rows respectively, then you are causing SQL to lookup and transfer 95% more rows than your process needs. Not only does it kill network performance, but your program layer then needs to filter out this data, doing extra work that it probably can’t do as efficiently as SQL Server. If instead I would have just added predicates to the SQL WHERE clause like Active=1 and SalesDate >= DATEADD(month, -1, GETDATE()) we would have saved both time and bandwidth. You know what’s better than sending 10,000 rows of data over the network and then summing them up in your programming layer? Using SQL’s SUM() aggregate function to reduce those 10,000 rows to just 1 row before sending it across the network. SQL aggregate functions take many rows of data and consolidate them down into fewer rows. SQL’s aggregate functions are also flexible enough to use the OVER() clause, allowing for windowed sets within your data — basically allowing you to be even more flexible with how you aggregate your data. Don’t wait until your application layer to summarize parts of your data — do it in your SQL query instead. Although aggregate functions do some serious heavy lifting, scalar functions that run on each row of data aren’t anything to laugh at either. Although they won’t reduce the number of rows in your output, they can certainly reduce the number of columns you are outputting. For example, say you have multiple columns of data in your dataset that ultimately need to be combined into a single output column. It’s much better to use ISNULL(), COALESCE(), or CASE to combine multiple columns into a single column with logic in your SQL query so less data needs to be transferred later. Once again, reducing the amount of data you are sending over the network is key to getting faster run times. Last but not least, if your process is generating XML or JSON data at some point, consider generating that data on the SQL Server. Now, generating XML and JSON data won’t always improve your performance — SQL Server is best at relational tasks and not large string creation — but in many cases, especially with JSON, SQL Server can outperform even the fastest .NET libraries. If your network is your bottle neck, then it is very possible that SQL can apply complex logic and transform your data into XML or JSON faster on the SQL Server than if you needed to transfer all of that data to another location on the network and handle those transformations in another programming language. If your SQL queries could be following any of the above techniques and they’re not, then fix them…today! Checking each of your queries for any of the above inefficiencies and mitigating them will probably (always test your changes) improve the performance of your applications and processes. And then it won’t feel like your process is taking forever to run. Getting string JSON data into a SQL readable form. Checks to see if the input string is valid JSON. Extracts a specific scalar string value from a JSON string using JSON path expressions. SELECT JSON_VALUE(@garage, '$.Cars.Model') -- This is also invalid because JSON_VALUE cannot return an array...only scalar values allowed! If the JSON path cannot be found, determines if the function should return a NULL or an error message. -- Output: Property cannot be found on the specified JSON path. Returns a JSON fragment for the specified JSON path. Returns a SQL result set for the specified JSON path. The result set includes columns identifying the datatypes of the parsed data. Creating JSON data from either strings or result sets. Automatically creates a JSON string from a SELECT statement. Quick and dirty. Formats a SQL query into a JSON string, allowing the user to define structure and formatting. Updating, adding to, and deleting from JSON data. Allows the user to update properties and values, add properties and values, and delete properties and values (the delete is unintuitive, see below). -- I upgraded some features in my Volkswagen recently, technically making it equivalent to a "GLI" instead of a "GL". -- I decided to sell my Golf. Let's add a new "SellDate" property to the JSON saying when I sold my Volkswagen. -- I realize it's not worth keeping the original Volkswagen in my @garage data any longer, so let's completely remove it. -- This is problematic if we expect the indexes of our array to shift by -1. -- To truly delete it (and not have the NULL appear as the first item in the array) we have to convert to a rowset, select everything that's not the first row, aggregate the rows into a string (UGH) and then recreate as JSON. -- This is incredibly ugly. The STREAM_AGG() function in SQL vNext should make it a little cleaner, but why doesn't the JSON_MODIFY NULL syntax just get rid of the element in the array? SQL JSON functions are already fast. Adding computed columns and indexes makes them extremely fast. JSON indexes are simply regular indexes on computed columns. -- We can now add a non-persisted computed column for our "model" JSON property. -- We add the distinct to avoid parameter sniffing issues. -- Our execution plan now shows the extra computation that is occuring for every row of the table scan. -- We now get index seeks! -- What about serializing/deserializing smaller JSON datasets?